South Point hosts its Biennial Athletic Meet with great aplomb over two days for its junior and senior pupils in December/January. 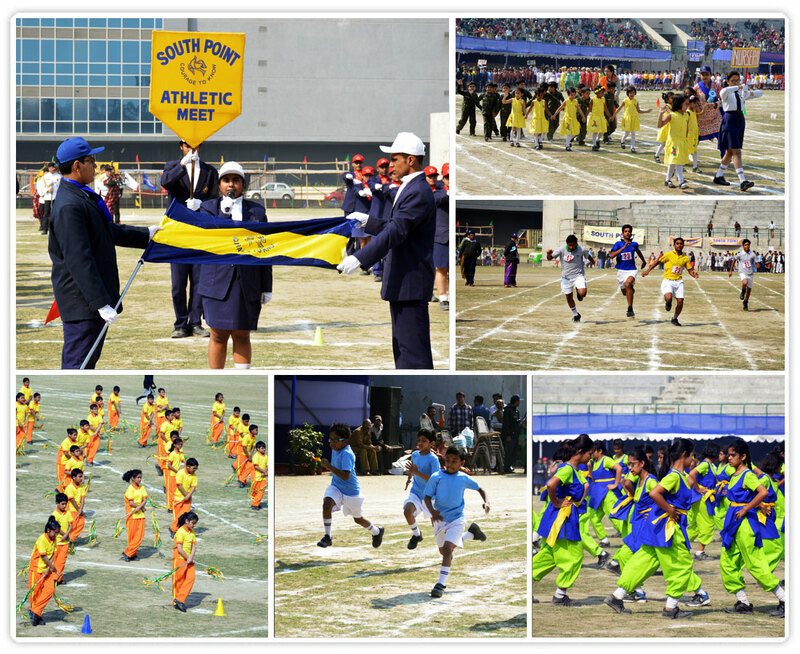 The event draws big crowds to cheer Pointers participating in march-past, drill displays, symmetrical formations, donning bright outfits, track and field events, go-as-you-like, cycling, karate and a slew of other activities. Little ones from South Point School are the obvious show-stealers, taking part in races with sweet and innovative names. The arena, in a swirl of radiant hues, draws out the sporting talent of Pointers who keep the torch burning and the flag flying high with an impressive display of grit, stamina and skill. The rainbow of Pointers’ performance at the Athletic Meet matches the colourful flags fluttering in the winter breeze.